EHAF is moving to Richmond! At least for an afternoon! Join the brothers of Phi Sigma Kappa as they take over Hardywood Park Craft Brewery on Saturday, October 1st! The event is tentatively scheduled for 2PM to 7PM that Saturday. 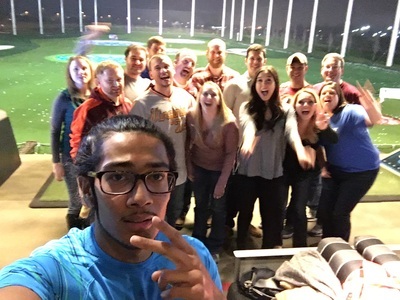 Joe Jarboe is the event coordinator so, if you have any questions, get in touch with him. More information can also be found in the EHAF Facebook group! 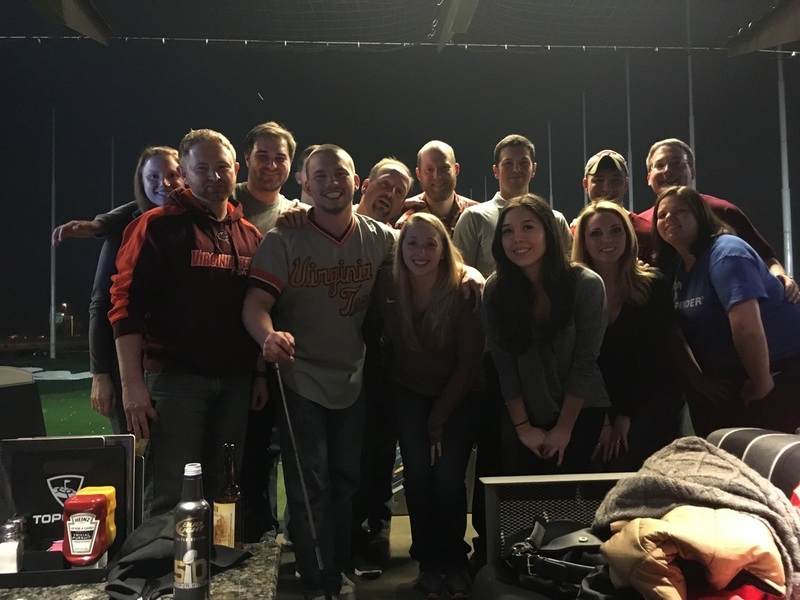 The next Northern Virginia EHAF event will be Saturday, October 15th at A-Town Bar and Grill by the Ballston Metro in Arlington. We plan to watch a 49-0 (or worse) whoopin' of the Syracuse Orange! EHAF will be purchasing some drinks for the attendees. *NOTE* - Gametime hasn't been announced. The event will begin thirty minutes before kickoff. Go Hokies! 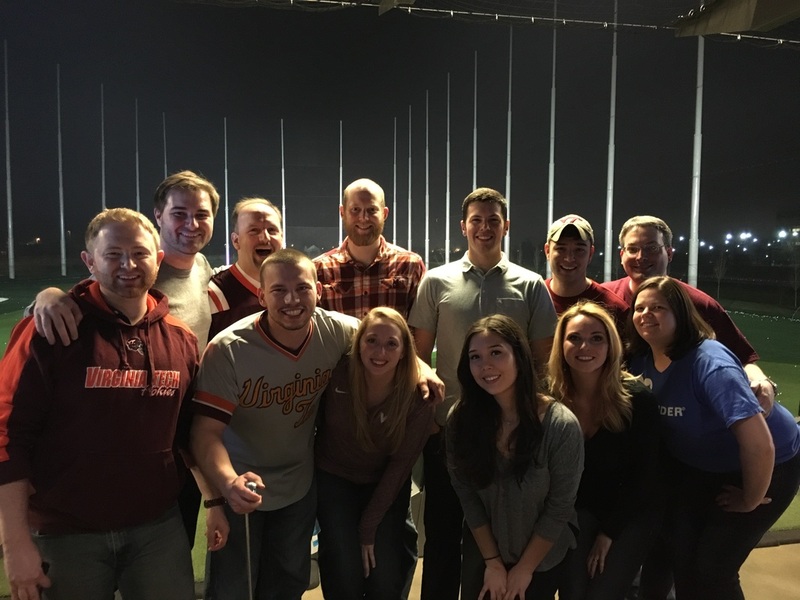 On Friday, May 27th, 2016, a group of local Phi Sig alumni got together to watch Max Scherzer give up a grand slam in a 6-2 Nationals loss to the Cardinals. 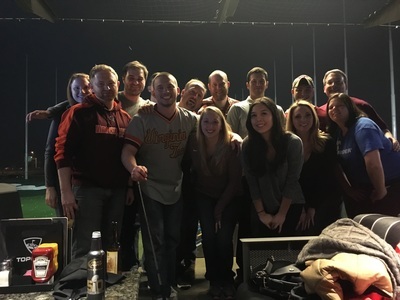 Though the Nationals did not win the game, the brothers and friends in attendance had an absolute blast at "The Bullpen" before the game and catching up in the right field bleachers. The free beer may have helped! 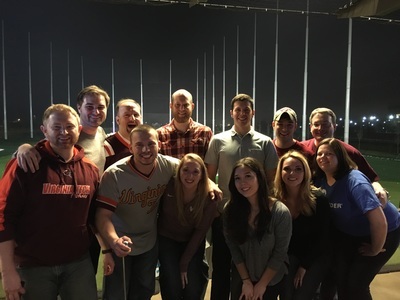 A great looking group of PSK alumni and friends got together at Top Golf Ashburn on Saturday, December 26, 2015, to watch Virginia Tech pull off an absolutely thrilling victory over Tulsa in the 2015 Independence Bowl. On Saturday, December 12, 2015, individuals across America gathered to place wreaths on every veteran grave at Arlington National Cemetery. Over 50,000 volunteers attended and this included a handful of Alumni of the Epsilon Hexaton Chapter of Phi Sigma Kappa. According to the event coordinator, Graham Doeren, the event was humbling and a great opportunity for the Brothers to bond over community service.